protecting the mysteries of the Hollow Earth. This sourcebook expands Hollow Earth Expedition with even more details about the mysterious and dangerous Hollow Earth, filled with hungry dinosaurs, ferocious savages, and lost civilizations! Protect your land from invaders, or guide explorers through dangerous territory as an Amazon warrior, hawkman raider, or noble beastmaster. Experience the Hollow Earth from a new perspective-from the inside looking out! Inside you will find everything you need to run action-packed Hollow Earth adventures or to give your surface world games more bite: guidelines for creating native and beastmen player characters; details on alchemy and shamanism; an expanded bestiary with rules for making your own creatures; and additional information on notable Hollow Earth locations. 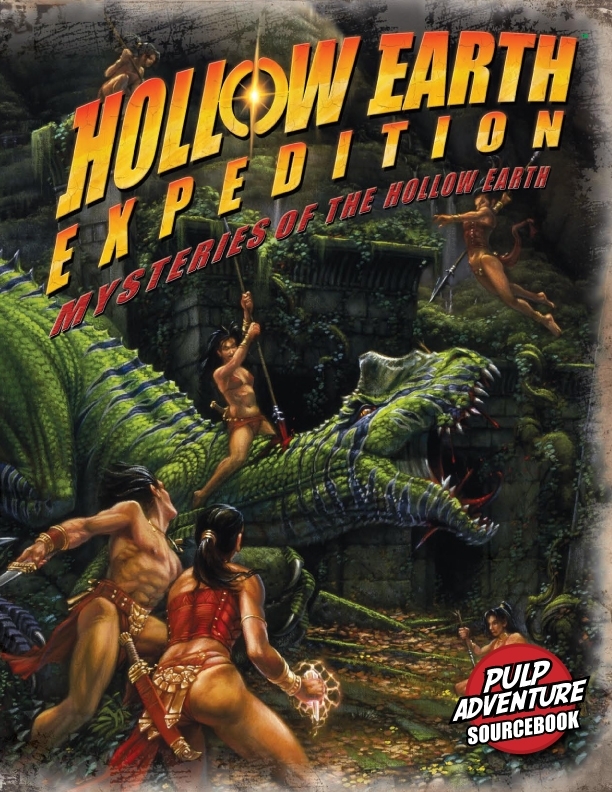 Hollow Earth Expedition: Discover a whole new world of adventure! This title was added to our catalog on August 13, 2009.